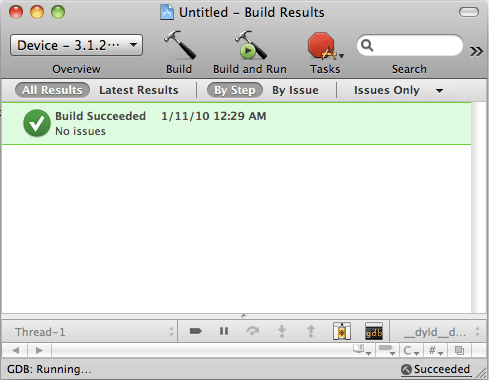 I code in Objective-C, PHP, and hopefully Ruby on Rails soon (workin’ on the last one). The Mono framework is a great tool for developing cross-platform applications. Using Mono, a developer can target Windows, Linux and OSX all at once using the same C# language and .NET-compatible framework. But arguably the biggest problem with cross-platform toolkits and frameworks is the GUI – people like seeing windows apps that use the familiar Windows Forms GUI toolkit, and people like seeing Mac apps that use Cocoa. With MonoMac, you don’t necessarily have to choose. As a developer, you can build your Mac gui using Cocoa and your Windows GUI using Windows Forms, and reuse all the rest of your application code for both platforms. But integrating Cocoa with C# and .NET isn’t the most straightforward thing. Here are the basics. My setup, Uno on the left, target 168-20P on the right. This is going to seem silly to some of you, but I just beat my head over it for 20 unnecessary minutes, so damnit, I’m making a public note. Here’s how to fix errors trying to use ArduinoISP. 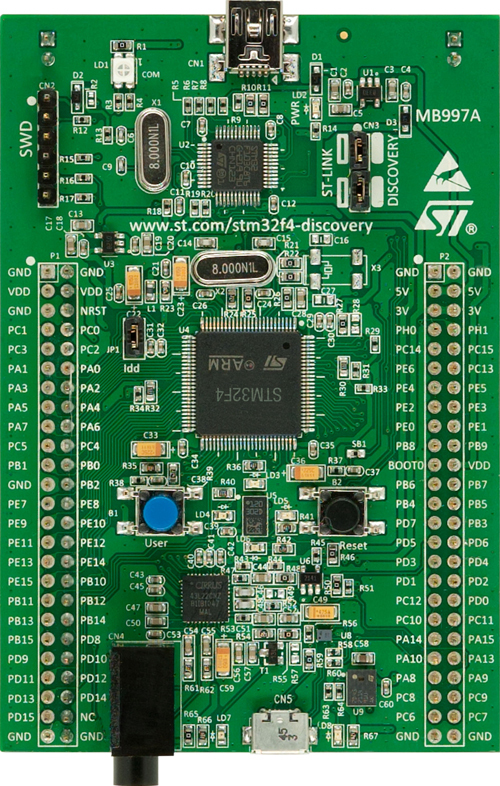 ST Micro in the last few weeks was the first to market with the brand new ARM Cortex-M4 32-bit microcontroller core. The really interesting new feature is the ‘F’ in the name – this is the first low-cost, low-ish-power light duty microcontroller to include a built in, single cycle per instruction 32-bit floating point unit. In typical ST fashion, the development board is awesome – it’s got a built in ST-LINK/V2 programmer and in-circuit debugger on the top half. The bottom half contains the M4 and a host of fun peripherals to play with, including a 3-axis MEMS accelerometer, an audio DAC with class D output driver, a bunch of LEDs, and all GPIOs broken out to .1″ headers. 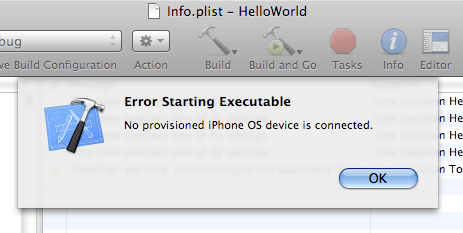 PROBLEM: I still can’t get iPhone 4 working. If you have one, please try it and help me out! 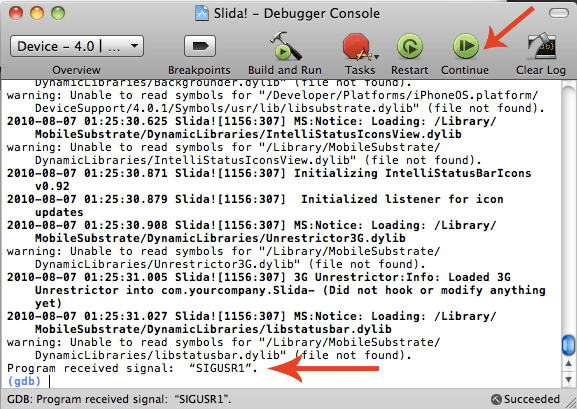 UPDATE: Found the cause of the problem to be certain status bar libraries installed alongside other apps. I’m not sure why they cause the problem, but see full notes at the bottom of the post. The Goal: As usual, we want to be able to click “build and go” in Xcode and get the app we’re working on to load to the phone and start up. 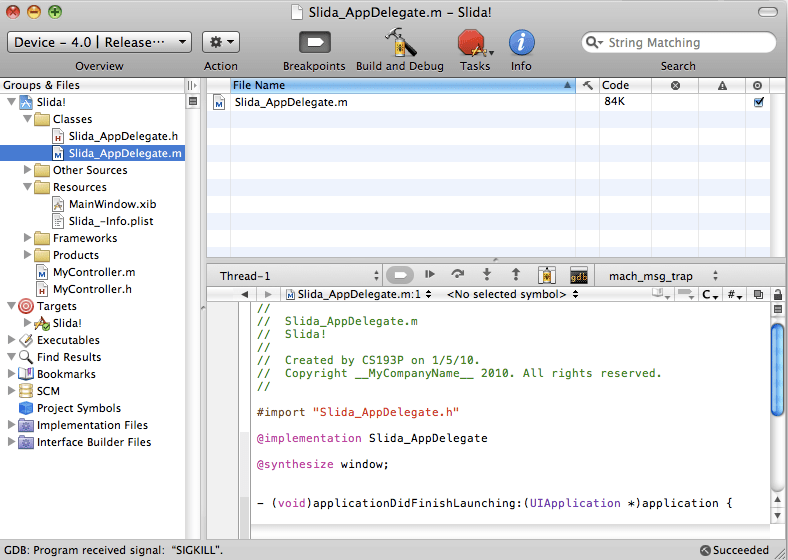 Also, we want to be able to debug from within Xcode itself. After all, Xcode is cool, and terminal+makefiles+gcc+gdb is lame.